If you are looking to get new carpet installed in Keego Harbor, then do we have some good news for you. With The Carpet Guys at your side, you will receive the best carpet installation services available. We know that it can be somewhat difficult finding professional Keego Harbor carpet installers that you can trust. 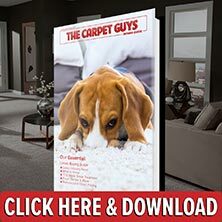 We do not want our customers having a stressful time installing carpeting, so we go above and beyond what any other flooring company will to make it as easy as possible. Whatever your carpeting needs may be, you will not find better service anywhere else. To get the best flooring experience possible, contact us today. When our installation crew arrives at your home, they can move the furniture and rip out the old carpeting upon your request. Once the old flooring has been ripped up, it gets bundled neatly and placed outside by the curb for garbage pickup. New carpet padding is laid out, and the type of carpeting you chose is rolled out and installed. Once the install is complete, the furniture can be moved back into the original layout. Do not spend any more time looking for a professional Keego Harbor carpet installation company. You have already found the best in the business.